The long-planned Ethereum fork is coming on Jan. 16th. With Constantinople going live within weeks, here’s what is important to know. Constantinople is one of the key milestones in Ethereum’s roadmap to version 2.0, which moves the protocol from proof-of-work (PoW) to proof-of-stake (PoS). Compared to the larger plan, Constantinople’s changes are minor. The update introduces a few new opcodes—pieces of logic programmers use to develop smart contracts, delays the mining “difficulty bomb” and reduces the reward for finding blocks, and alters and optimizes the way gas is consumed. Once activated, nodes running Constantinople will be incompatible with the previous version of Ethereum, resulting in a “hard fork” of the blockchain. Ethereum team lead Péter Szilágyi predicts that the protocol will fork on Jan. 16th, when the blockchain reaches block 7,080,000. Once the hard fork is activated, nodes running the latest software will operate on the new fork. Legacy nodes that continue operating on the original blockchain will no longer get compensated because the tokens on the old fork will likely become worthless. Users will automatically have their ether available to spend on the new fork. Unlike hard forks that yield two different cryptocurrencies, this hard fork is considered “non-contentious,” meaning that the community is likely to adopt the upgrade. So far, the latest versions of all major Ethereum clients are already patched for the upgrade, and the core developer team, at their Jan. 4th meeting, expressed confidence in the scheduled release. Constantinople addresses five different Ethereum Improvement Proposals (EIPs). EIP 1234, which is especially significant for miners, calls for a delay of the planned “difficulty bomb” and drops mining rewards per discovered block from three ether to two. The difficulty bomb will make it progressively more difficult for miners to solve blocks until it becomes unprofitable, allowing the protocol to transition to proof-of-stake. The proposal delays the change by 5 million blocks, or roughly twelve months. The delay suggests that the transition to proof-of-stake still requires a lot more development. The other four EIPs either provide new developer opcodes or optimize existing opcodes for Ethereum smart contracts. EIP 145 introduces a native bitwise shifting operation, which allows dApp developers to optimize certain operations to save gas. EIP 1014 allows users to interact with addresses that haven’t yet been initialized on the blockchain. EIP 1052 introduces a new opcode for generating specific types of address hashes. While Constantinople only introduces minor changes, it lays the groundwork for the upcoming switch to proof-of-stake. The upgrades are integral to Ethereum’s long-term strategy of increasing network capacity while decreasing energy consumption from mining. 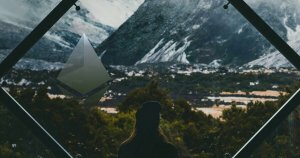 However, it’s still too soon to predict how changes in Ethereum mining rewards will impact the ether economy. That said, Ethereum’s recent gains suggest that the market is reacting favorably to the update. Since last month, the price of ether doubled from a low of $82 to over $160 a coin, nearly a twofold increase.